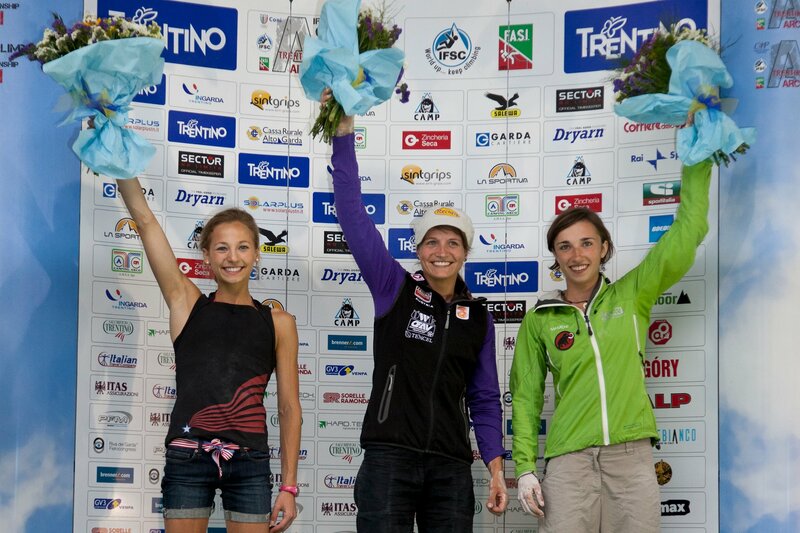 Arco World Championships – Bouldering – Finals Results – Sasha Digiulian in 2nd!!! + Videos! Sorry I haven’t offered better coverage but I’ve had a very busy week and just haven’t been able to watch this comp as I would like to. Here are the top results and click-thru’s for the rest. It will be exciting to see how Team America performs in the lead and speed competitions later this week. The Team America women’s team put in a good showing in the bouldering semifinals and finals with 4 girls making semis and Sasha DiGiulian not only making finals but coming out of finals in 2nd place! Congrats to Sasha on standing on the podium at the World Championships!!! 5. Akiyo Noguchi (JPN) – one of the frontrunners across the board this season who has impressed us over and over with her flexibility and strength. 7. Alex Johnson – tied for 7th with Melissa Le Neve of France – great job Alex! It’s kind of ironic that Alex seemed cursed with the 7th place finishes this year but considering the large field at this event 7th is a fine result indeed. Angela Payne – 17th. This is a respectable result as well as Angie, who was several time national champion in the early 2000’s, made a huge competition comeback in the last two years and has shown that she can still perform at a world-class level. Francesca Metcalf – 19th. Francesca is one of the younger members of the US team and impressed everybody when she was tied for first after the qualification round. It will be exciting to watch her compete in the future. 1. Dmitry Sharafutdinov (RUS) – this young man stood atop the podium again and again this season. 2. 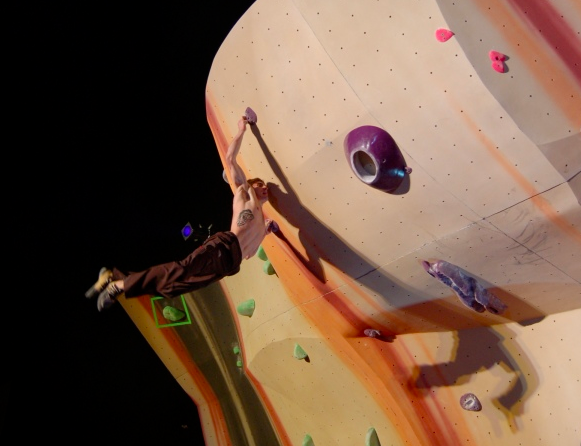 Adam Ondra (CZE) – clearly one of the world’s best climbers. 4. Kilian Fischhuber (AUT) – Another frontrunner. 5. Cédric Lachat (SUI) – performed really well at the last event as well. 6. Thomas Tauporn (GER) – I’ve never heard of this kid, but clearly he’s quite strong.